In the United States, African American and Italian cultures have been intertwined for more than a hundred years. From as early as nineteenth-century African American opera star Thomas Bowers—“The Colored Mario”—all the way to hip-hop entrepreneur Puff Daddy dubbing himself “the Black Sinatra,” the affinity between black and Italian cultures runs deep and wide. Once you start looking, you’ll find these connections everywhere. Sinatra croons bel canto over the limousine swing of the Count Basie band. Snoop Dogg deftly tosses off the line “I’m Lucky Luciano ’bout to sing soprano.” Like the Brooklyn pizzeria and candy store in Spike Lee’s Do the Right Thing and Jungle Fever, or the basketball sidelines where Italian American coaches Rick Pitino and John Calipari mix it up with their African American players, black/Italian connections are a thing to behold—and to investigate. In Flavor and Soul, John Gennari spotlights this affinity, calling it “the edge”—now smooth, sometimes serrated—between Italian American and African American culture. He argues that the edge is a space of mutual emulation and suspicion, a joyous cultural meeting sometimes darkened by violent collision. 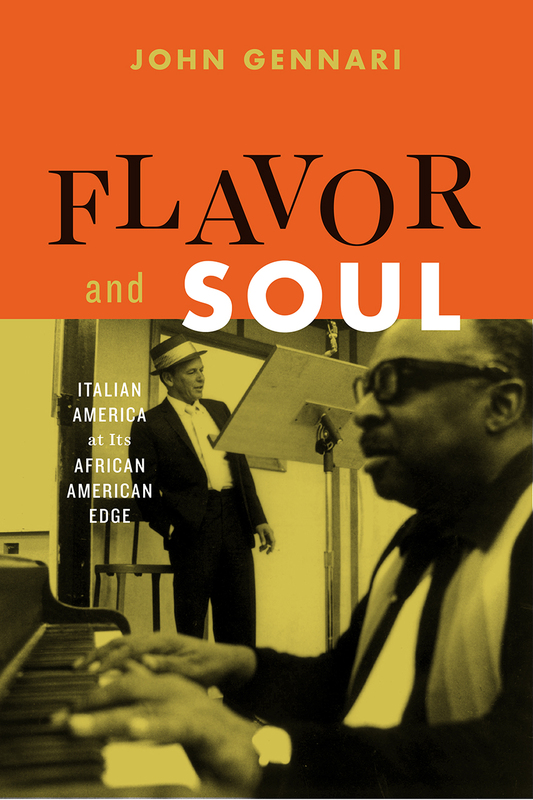 Through studies of music and sound, film and media, sports and foodways, Gennari shows how an Afro-Italian sensibility has nourished and vitalized American culture writ large, even as Italian Americans and African Americans have fought each other for urban space, recognition of overlapping histories of suffering and exclusion, and political and personal rispetto. Thus, Flavor and Soul is a cultural contact zone—a piazza where people express deep feelings of joy and pleasure, wariness and distrust, amity and enmity. And it is only at such cultural edges, Gennari argues, that America can come to truly understand its racial and ethnic dynamics.